Ex-GWR 4-6-0 No 6985 'Parwick Hall' returns to Gloucester Horton Road on a freight in the 1960s. The driver of the locomotive is looking back along the train, probably to check that the banking engine is in place. During the early 1960s, in response to mounting losses and the need to increase productivity in the face of competition from road transport, British Railways started to break down the regional divisions and rationalise inter-regional workings. 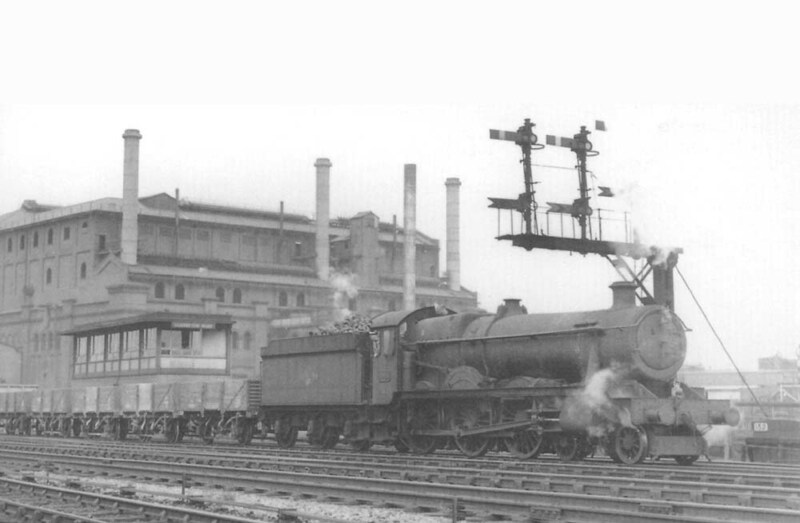 Mourton and Pixton in their book Birmingham - Bristol Portrait of a Famous Route Part One: Birmingham to Cheltenham state that ex-GWR locomotives worked regularly from Washwood Heath on services such as 12:25pm class Hand 2:00pm Class F to Stoke Gifford, near Bristol.